Did you donate a car to Wheels For Wishes in 2014? If so, you’re eligible to receive a tax deduction for your donation! Perhaps you’ve already filed your taxes this year, but in case you haven’t, don’t forget that Wednesday April 15, 2015 is the deadline for filing your 2014 taxes. What Exactly Is A Tax Deduction? A tax deduction is a way to decrease your taxable income. 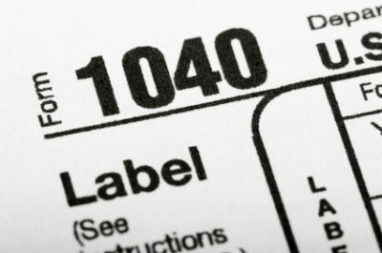 If you owe taxes to the federal government, a tax deduction will lower the amount you owe; if you’ll be receiving a tax refund, claiming a tax deduction will increase the amount of your refund. Many different things can be deducted from your taxes such as job expenses that aren’t reimbursed by your employer, business expenses for those who own their own businesses, and interest on things such as student loans or a home mortgage. You can also receive a deduction for charitable contributions such as your car donation! When you donate a vehicle, it will be sold at auction or for recycling purposes. The amount your vehicle is sold for determines how much you can claim as a tax deduction. If your vehicle sells for less than $500, you can claim the fair market value of your vehicle up to $500, or the amount it sold for if less than fair market value. If your vehicle sells for more than $500, you can claim the exact amount for which the vehicle is sold. When your vehicle is sold, we’ll send you a receipt that states the amount your vehicle sold for, which you can deduct. For more information on your tax deduction, check out our 2014 Tax Deduction Guide. Check that you’ve entered your Social Security number correctly. Make sure your name appears exactly as it does on your Social Security card. Double-check your math. This is especially important if you’re filing a paper return, since e-filing software typically does the math for you. Use the correct filing status. Check out the Interactive Tax Assistant tool from the IRS to make sure you’re using the right status. Double-check your calculations for tax deductions and credits such as Earned Income Tax or Child Care Credit. Check that you’ve entered the correct bank account numbers if you want to receive your refund via direct deposit. Use the correct PIN to sign your taxes if you’re filing electronically. You should have your PIN from last year’s taxes. If you don’t, you can enter your Adjusted Gross Income from the 2013 tax forms you filed with the IRS. Don’t forget to sign your form. If you’re filing a joint return, make sure your spouse has signed the form too. As simple as these errors may seem, it can be very easy to accidentally enter something incorrectly or skip a line. Looking For A Deduction On Your 2015 Taxes? While you can’t do anything now to get a deduction on your 2014 taxes, you can set yourself up for a happier tax season next year by making a charitable donation right now. A car, truck, boat, motorcycle or RV donation to Wheels For Wishes this year will give you a tax deduction for your 2015 taxes. Rather than wait until the last minute (11:59 p.m. on Dec. 31), you can make a donation now so you don’t have to worry about it later. Donating is easy, and on top of a tax deduction we also tow your vehicle away for free. Best of all your donation supports a great cause. The proceeds from your donation benefit your local chapter of Make-A-Wish, helping them grant more wishes for children facing critical illnesses. To make a donation, simply give us a call at 1-877-431-9474 or fill out our online car donation form.